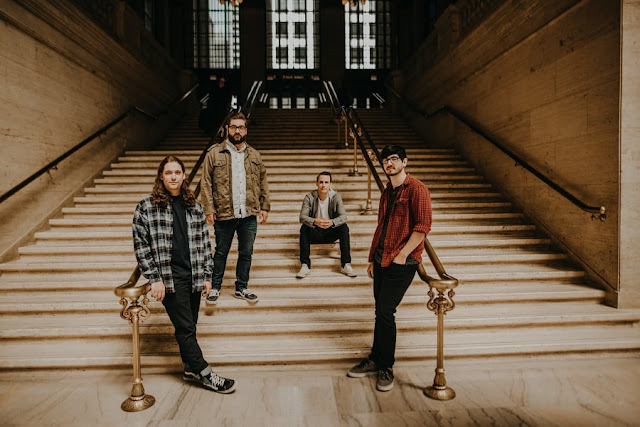 Home / brand new / High Wire / música / notícias / High Wire Announce New EP "Different Places"
High Wire Announce New EP "Different Places"
Chicago pop punk band High Wire have announced that their upcoming EP Different Places, will arrive on September 8th. The EP announcement comes with a preorder surprise; the immediate download of the high energy track, Something In The Way, which you can stream below! Different Places is a collection of songs that tell a story of personal change and self growth. It's the journey from who you were, through the irrevocable changes in relationships, to where you are and want to be in the future. From the band’s evolving sound to the literal journey of the band members crossing state and international borders, “Different Places” is the representation of where you started, and where you are going. Every coming of age story starts somewhere. For Chicago, IL quartet High Wire, the story started in different places. Since their inception in 2012, the band has made a name for themselves in a thriving Chicago punk scene establishing a dedicated fan base and sharing stages with the likes of Real Friends, Sleep On It, Knockout Kid and more. Different Places, produced by Seth Henderson (Real Friends, Knuckle Puck, Sleep On It) is a collection of songs that tell a story of personal changes and growth. It’s the journey from who you were, molded by the irrevocable changes in relationships to where you are presently, and who you aspire to be in the future. The EP is a representation both literally and physically for the band and embodies where High Wire started, where the band is presently and where they’re headed in the future. “Different Places” is available for preorder NOW.